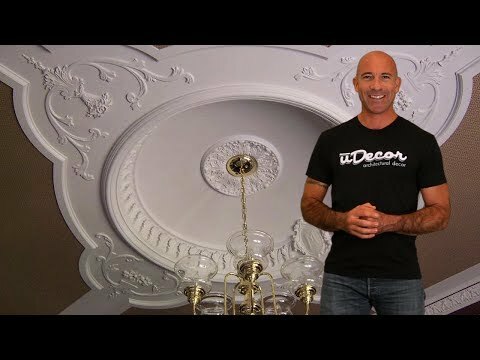 The MD-5370 Ceiling Medallion is 19" in diameter and has a depth of 2-1/4". 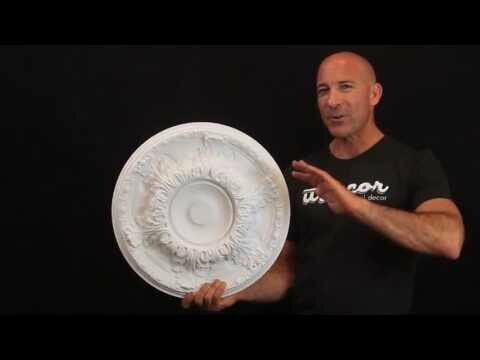 Beautiful Medallion, it's going to go in a guest bedroom. Instant architectural detail and not difficult to install. This was the best investment. My chandelier that I installed wouldn't look near as stunning without the medallion. It took me about a week and a half to paint it. I painted every detail on it to stand out. It looks so cool. I love how lightweight it is and the hole size of 3 inches was perfect.